Q. What is the HUNTERcourse.com Completion Voucher? A. The Completion Voucher is issued once you have completed the Yukon Online Hunter Education Course. You need your voucher number to register for the In-Class Session where you will meet with a certified instructor and write your final exam to obtain your Yukon Hunter Education Card. Q. Is the Completion Voucher the same as a Yukon Hunter Education Card? A. No. The Completion Voucher is proof that you have passed the Online Hunter Education Course and allows you to register for the In-Class Session with a certified instructor to complete the certification process. A. With the Online Hunter Education course, you can do the bulk of the course work from the convenience of your own home. You will only need to attend one In-Class Session to complete the certification process. A. All new hunters are encouraged to take the Hunter Education and Ethics Development (HEED) course, regardless of age. If you were born after April 1, 1987, you need to complete a hunter education course before getting your hunting license. Q. What steps do I need to take to complete the Online Hunter Education Course and obtain my Hunter Education Card? A. 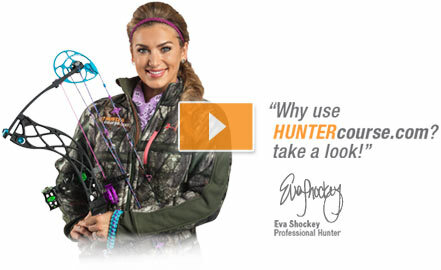 The Online Hunter Education Course is available to you at any time. For more information on upcoming In-Class sessions, including dates and times, go to www.env.gov.yk.ca/heed. Once you’ve completed the online course, you can register by contacting Conservation Officer Services. In order to obtain your Yukon Hunter Education Card, you must pass the online course and the written exam at the In-Class session. A. In order to pass the Online Hunter Education Course and get your Certificate of Completion, you must pass each chapter quiz with a grade of at least 80%. Q. Is there a cost for the Online Hunter Education Course or In-Class Session? A. No. Both the online course and In-Class Session are at no cost to the customer. Q. Need a Replacement Yukon Hunter Education Card? A. Students who have completed the Yukon Hunter Education Course can obtain proof of their certification by contacting the Conservation Officer Services Branch in Whitehorse at 867-667-5617 or toll free 1-800-661-0408 ext. 5617. Q. Lost Your HUNTERcourse.com Completion Voucher? A. The Completion Voucher is required to attend the in-class session. If you have lost your voucher you can sign in to your exam center and print out a new copy. You can also contact HUNTERcourse.com at 1-866-495-4868 or e-mail [email protected] and we will send you a copy of your voucher.